Newbie gains are controversial. They seem impossible. We get a lot of comments and emails from guys who see our sales page and seriously doubt being able to gain 20 pounds in 3 months. 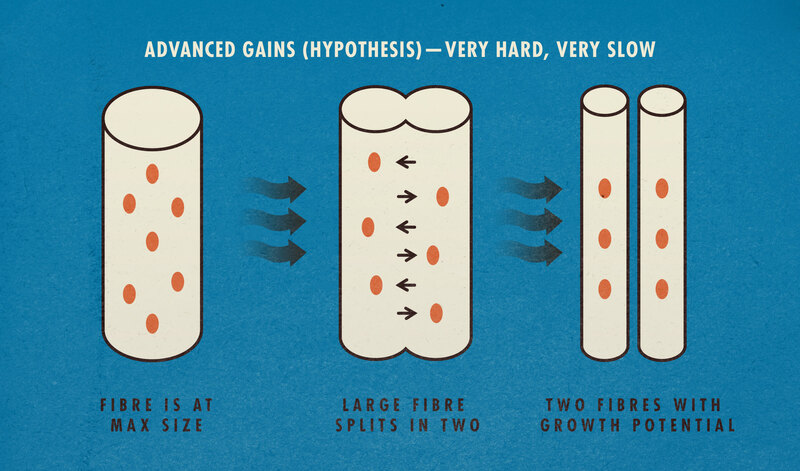 For anyone who has read about how quickly muscle grows, that seems way too rapid to be real. The doubters have a point, but they’re forgetting an important caveat. 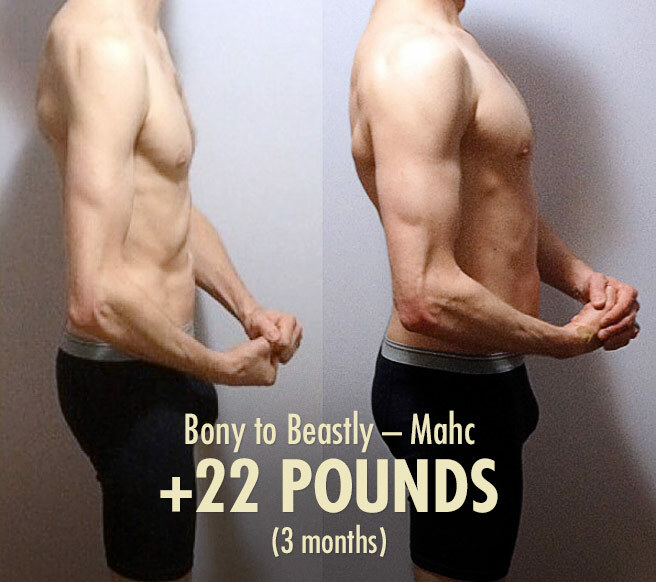 It’s impossible to gain over 20 pounds of muscle in 3 months unless you’re a beginner. It’s impossible to double your strength in half a year unless you’re a beginner. It’s impossible to build muscle and lose fat at the same time unless you’re a beginner. For all of these miracles, we have newbie gains to thank. Newbie gains being what we call the series of rapid adaptations that makes new lifters grow as quickly as guys who take massive doses of steroids. Unfortunately, there’s a caveat to this too. Newbies can gain a ton of strength without any increase in muscle size. Many skinny guys will start up a new lifting program, become far stronger and more athletic, but remain just as thin as ever. Not a single gain. So if being a newbie means we can grow incredibly fast, but also not at all… how does that even make any sense? When I began researching this, the news got even better than I expected. I started to realize that skinny guys could blow the average guy’s newbie gains out of the water. Something still wasn’t adding up yet, though. As ectomorphs, we’re known for being hardgainers—we’re known for our absolute inability to build muscle, not for being able to build muscle more quickly than anyone else. Most emails we get are from guys who haven’t been able to gain any muscle at all. Can you get newbie gains? The science of newbie gains—what are they and how do they work? How to build muscle as quickly as possible as a beginner. First, let’s make sure that you’re able to get newbie gains. Is the word “skinny” still somewhere in your self-description? Would you call yourself skinny, skinny-fit, skinny-fat? If there’s a skinny in there, you’re still eligible. 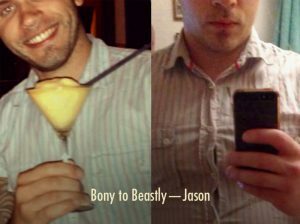 Maybe an even better word to use is “bony.” David Epstein, the author of The Sports Gene, found that each pound of bone can support 5 pounds of muscle. 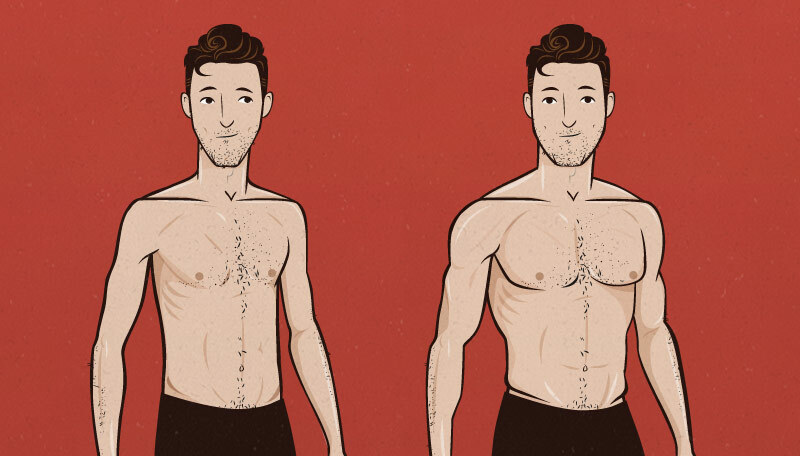 So if right now you’re shaped more by your bone structure than your muscle mass, you’ve got a helluva ton of room for muscle growth, and you’ll be able to grow far more rapidly than the average guy (who can only gain about 0.5 pounds per week as a beginner). Also remember that newbie gains aren’t about how many times you’ve tried, they’re about how many times you’ve succeeded. So if you’ve already gained 20 pounds, you’ve already used them. But if you’ve tried to gain weight 20 times and failed each and every time, like many of us have, you still have all of your newbie gains to look forward to the first time you do this properly. If you haven’t gained 10–20 pounds yet, this is what all your muscle fibres look like. Most cells have just one nuclei, but your muscle fibres have many. These are called myonuclei, and because of them, your muscles can grow a tremendous amount. To describe how myonuclei work, fitness blogger Greg Nuckols uses the analogy of a wifi router. The wifi router can project an internet signal a certain distance. Once you get too far from the signal, your device can no longer connect. Nuclei are not so different. Each myonuclei can only handle an area so big. This area is called the maximum myonuclear domain. 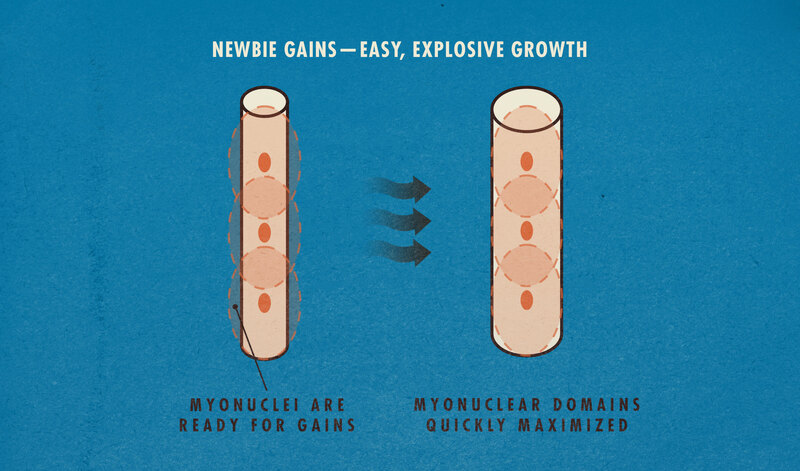 Newbie gains is the process of filling out those myonuclear domains with muscle. It’s important that your muscle fibres don’t grow so large that your myonuclei cannot fully control them, so your body places strict limits on muscle growth. You can expect your muscle fibres to grow 15–27% before hitting that limit (study). 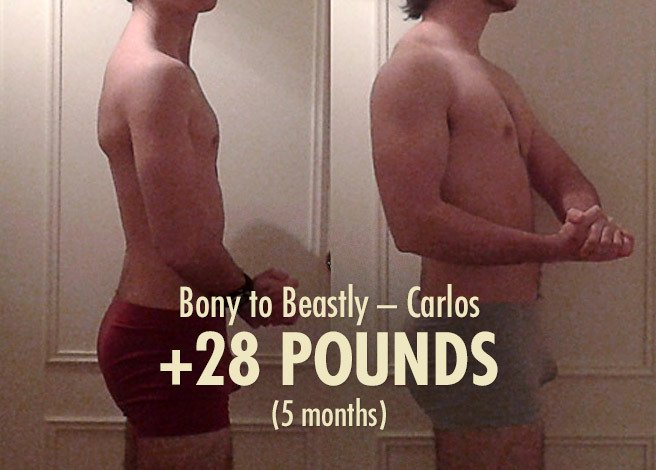 I’m going to make an educated guess that for the average skinny guy, this is a gain of around 8–12 pounds. This process is simple and explosive. Lifting or dieting poorly can extend this process, but you can finish this stage in as little as a month. At this point, most people plateau. 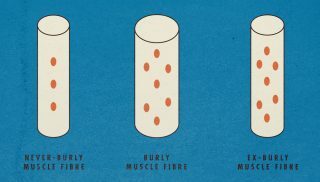 Your muscle fibres fill out their myonuclear domains without much struggle, but each stage of adaptation is slower and more difficult. The routine that allows you to gain your first 10 pounds may not be enough to allow you to gain 20. But let’s say your lifting and diet routine are on point. Your muscles must grow stronger. Then we enter the second stage of adaptation: adding new myonuclei to your muscle fibres. By adding more myonuclei, you can make your muscle fibres far bigger. Your body will do this by growing satellite cells, fusing those satellite cells into your muscle fibres, and then repurposing their nuclei into myonuclei. This allows for more muscle gains, and at first, they can be quite quick! 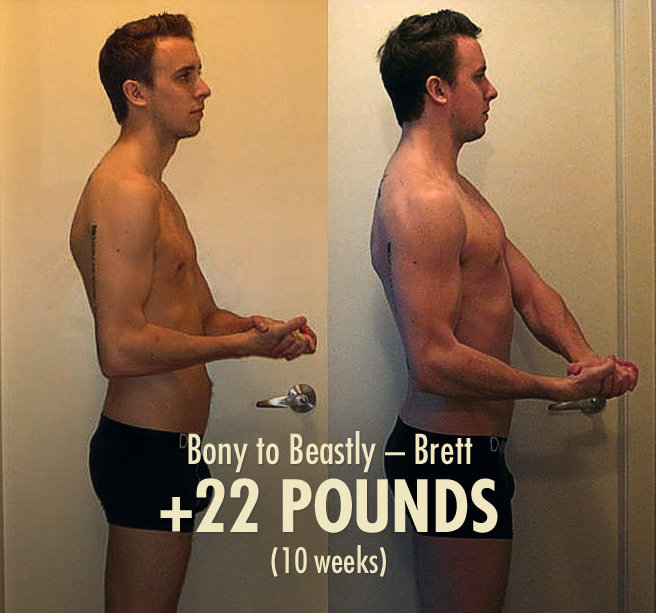 This is the stage where guys gain another 10 pounds of muscle over the course of just a couple months. This stage of adaptation isn’t as explosive as newbie gains, but the changes in your body are far more exciting. You aren’t just carrying your computer to the limit of your wifi router’s signal, you’re installing this new, far better, internet system. These new myonuclei improve your ability to turn protein into muscle, and they improve your insulin sensitivity. You’re upgrading your muscularity in a number of ways, and these changes are permanent. These structural upgrades are improving your muscle-building genetics, allowing you to be “naturally” more muscular with less effort. The first adaptation is the one we all know and love. After a good workout, your muscles will rebuild themselves even bigger and even stronger so that next time, they are strong enough. This new, second adaptation is different. After a good workout, your muscles will rebuild themselves in a more durable way so that they don’t get damaged as easily next time. They protect themselves from the stress. This is called the repeated bouts effect—RBE. The first adaptation is exactly what we want—bigger, stronger muscles. This second adaptation is more nuanced. As a beginner, it’s common to be brutally sore for a week after a hard workout. As an intermediate lifter, you’ll be less sore, and only for a couple of days. But if your goal is to build muscle, this is not good. Your body is protecting itself from the workout. Your body resists the stimulus that you need to make gains. The muscle growth adaptations slow down again. You’ve gone from gaining 2 pounds in a week, to gaining 1 pound in a week, and now even that pace is impossible. The good news is that by the time this process grinds to a halt, you’ve gained 20–30 pounds in 5–6 months, and your muscle fibres are now as large as those of an athlete, strongman, and bodybuilder (study). Not bad! You won’t be as big as them yet, though. They have more muscle fibres. That brings us to the final and most brutal stage of adaptation: building new muscle fibres. We’re at the advanced stage now, and we’re now beyond the scope of this article. 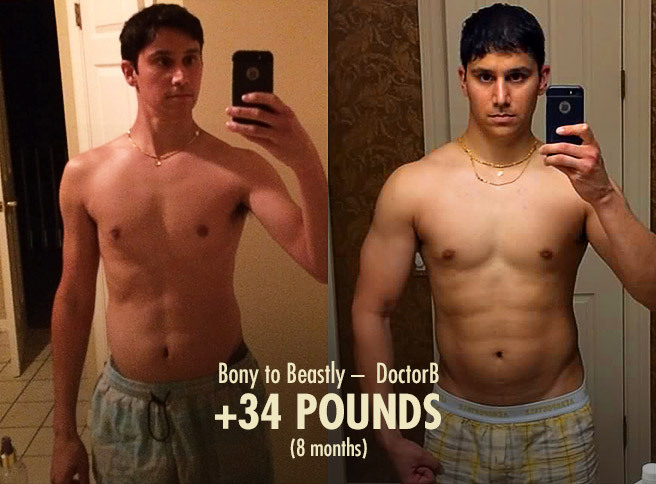 That’s a good thing, too, because this advanced muscle growth stuff is highly theoretical and extremely confusing. I’m really lucky that Greg Nuckols has been researching and writing about this stuff. This stage is still a mystery. We know that elite lifters have more muscle fibres than intermediate lifters, and we also know that animals are able to create new muscle fibres. With those 2 facts, we can infer that something like the above diagram takes place. That’s one plausible theory, anyway. Now that you understand the stages of muscle growth, we can talk about why some newbies don’t get even a single gain. A simple way to understand this newbie-gains dilemma is to think of your body as being frugal. 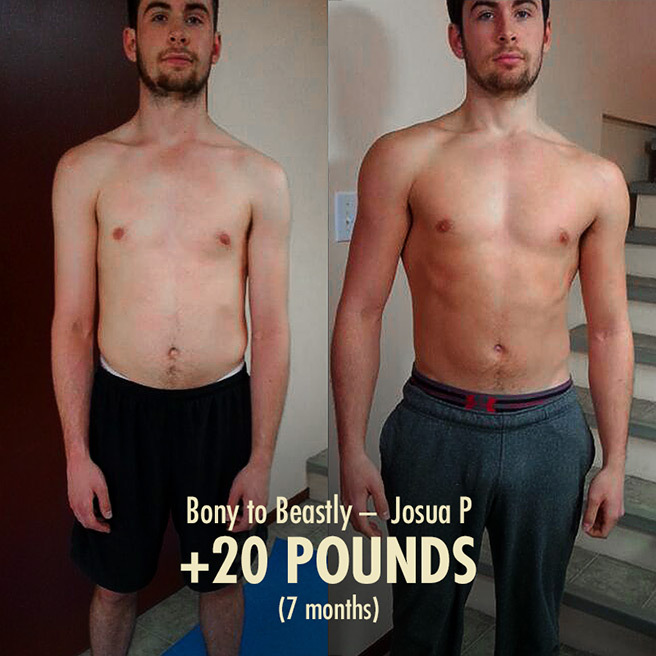 It doesn’t want to make any changes to your muscularity unless it has to. After all, building muscle is quite costly, and your body would much prefer to just rebuild your muscle to exactly the same size it was before (study). Let’s imagine that you start following an intermediate lifting program. You: I’m going to lift weights to make myself stronger. It’s time to build muscle, body! 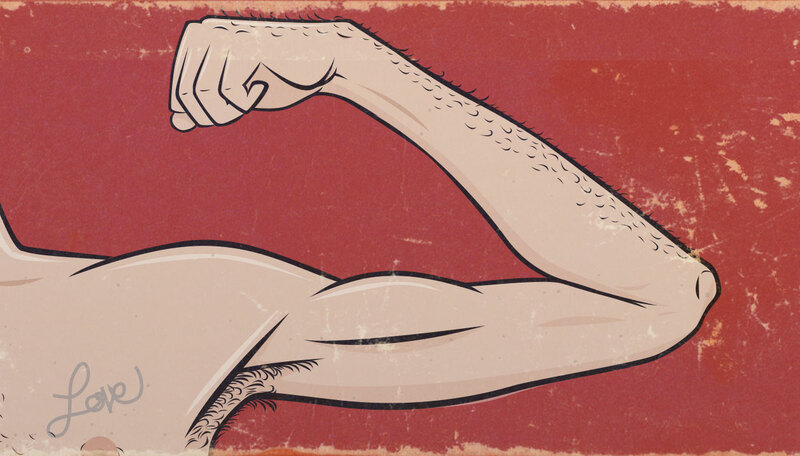 Your body: Actually, we don’t even need to invest in new muscle to get stronger! We can just use the muscle we already have more efficiently. You: …But the whole points was to get big and strong. Your body: Sorry, we just can’t justify spending that many resources on something you don’t even need. Get strong by developing your coordination first, then ask us about building muscle. But your body is not just frugal, it’s also effective. It’s incredible at adapting to novel stressors, as we covered in the science section. You could think of your body like a genie, able to grant you any wish, but you need to word that wish very clearly. Let’s imagine a lifting program designed to get you newbie gains. You: I’m going to lift weights to make myself bigger. It’s time to build muscle, body! Body: Well, if you’re doing simple muscle-growth lifts that require no coordination, shoot, well I guess we’ll have to build muscle then. Fortunately, I can quickly boost your muscle size without much effort by maxing out your myonuclear domains. But, just so you know, I’m not going to waste any time developing your coordination! You: But I’ll be way more muscular, though? So let’s say you want to make damn sure that you get that second outcome. What’s the difference between those 2 ways of lifting? The strength approach uses complex, compound lifts like the deadlift, squat, overhead press, bench press and the barbell row. 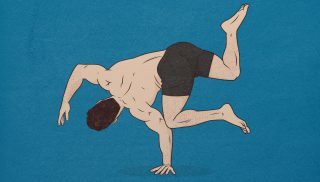 These lifts have great transference to athletics, but they’re so technically difficult that you can spend several months getting stronger by refining your technique without gaining a single gram of muscle. The “newbie gain” approach also has compounds lifts, because becoming a skilled lifter is important for later, but it also has simple bodybuilding lifts like biceps curls, triceps extensions, pec flys, and shoulder raises. These lifts aren’t as good at improving your coordination, but that’s exactly why your body must build muscle to get better at them. You might gain as much as a pound of muscle after your very first workout alone (if your diet is on point), and after a few weeks of lifting, you’ll be 8–12 pounds heavier and able to do the big lifts with good technique. At this point, your myonuclear domains will be maxed out, and it will be time to lift like an intermediate lifter. Having both size and skill after your first few weeks of training allows you to transition seamlessly into the intermediate lifter stage. This sets you up to gain another 10–20 pounds of muscle without hitting a plateau. Do some simple bodybuilding. Your muscles will be easy to stimulate, but you also aren’t a skilled lifter yet. You need to include plenty of lifts that aren’t highly technical in your routine. This will get you building muscle as quickly as possible. Learn the strength lifts progressively. You should also start practicing the technical lifts. They will be important soon. But even then, at least with the most complex lifts, like squats and deadlifts, it can help to start off with simpler variations with a friendlier learning curve. I recommend beginning with goblet squats and dumbbell sumo deadlifts. Because these variations are simpler, it will be easier to stimulate your muscles without being overwhelmed by the complex movement patterns. More muscle growth and better practice. This means better short-term and longterm results. Learn how to eat enough, don’t just force-feed yourself. Extra mass must be built out of extra nutrients. That’s a struggle in and of itself, especially for those of us with the infamous hardgainer appetite + hardgainer stomach capacity + hardgainer metabolism combo. That’s something I struggled a great deal with, so appetite manipulation is a huge part of our Bony to Beastly Muscle-Building Program. 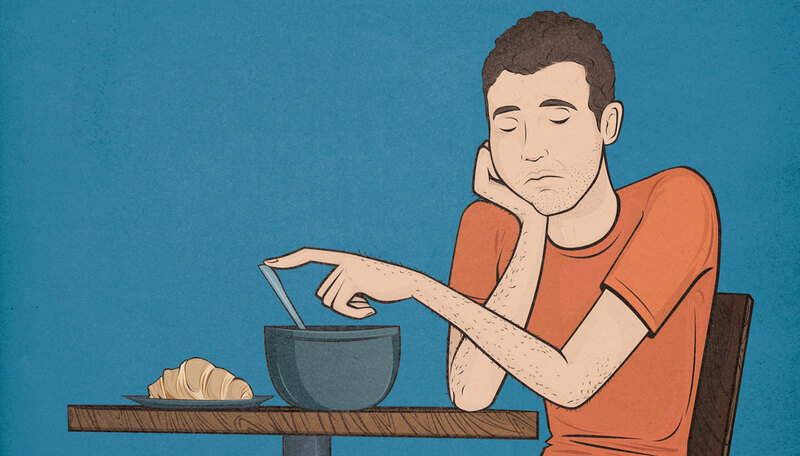 If you just force yourself to eat more, you’ll soon get to a point where you’re tired, busy or stressed, and you won’t have the willpower to overcome your appetite. You have to take a smarter approach, learning how to eat more food with less effort. If you can do this, you’ll learn to set the pace of your gains by controlling the degree of your calorie surplus. Just remember to get your lifting program handled before doing this, otherwise you’ll be gaining too much fat. Focus on muscle-protein synthesis. The myonuclei in your muscle fibres are responsible for handling muscle protein synthesis. Right now your myonuclei aren’t producing muscle at maximum capacity. You have a factory already built, but the workers inside are hardly doing anything. At a certain point you will need to hire more workers—adding more myonuclei—but right now, just get those workers working. Train with a higher frequency, hitting every muscle 2–3 times per week. Doing 3 full-body workouts every week is a good way to do this. Bodybuilders at later stages of development will often need to do focus on just one muscle group per workout in order to cause enough stress. They might use drop sets, supersets, cheat reps, etc. Their muscles are very tough, and they are trying to literally tear their muscle fibres in 2. They might even need to spend months at a time prioritizing just one muscle group. Beginner and intermediate lifters just need to stimulate all of their muscles properly and frequently. As a beginner, every workout that you spend blasting just one muscle group is a wasted opportunity to get growth in all of your other muscles. Focus on eating protein more often. 20 grams of protein is enough to spike muscle protein synthesis, and that spike will last for a few hours. Try to eat protein-rich meals 4–5 times per day, each a few hours apart. If eating that often seems daunting, remember that a little bowl of cottage cheese, a protein bar (homemade or store-bought), or a scoop of whey protein + water will do the trick. As a more advanced lifter, you will be limited by the amounts of myonuclei and muscle fibres you have—not a muscle-protein synthesis issue—but right now, the more muscle-protein synthesis, the better! Try intermittent fasting later. The point here is not to listen to the guys telling you that you can only gain 1 pound per month. You can listen to that advice one day, when you’re as big as they are. But until then, your potential is far greater than that. You also don’t need to wait! You don’t need to spend a month learning the ropes or fixing your posture before you start building muscle. Start building muscle now. Make sure that you see results on the scale and in the mirror after your first week. Become a better lifter as you go. Going up a shirt size in a month will be the encouragement you need to keep lifting, to keep refining your diet. Otherwise, you risk spending a month or 2 getting way better at deadlifting, not seeing any visual progress, becoming disheartened by your genetics, and giving up. Your genetics are not the problem. 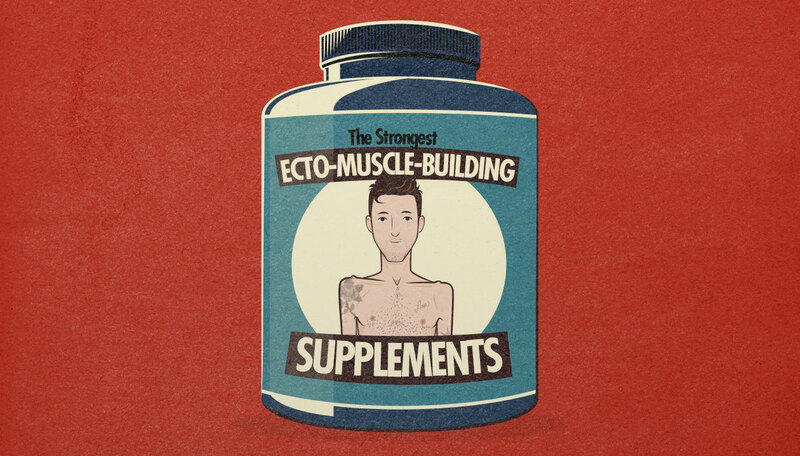 We see so many ectomorphs start a program, gain some strength, then give up before they even start bringing new myonuclei into their muscle fibres. Most guys starting our program haven’t just failed once, they’ve failed many times. They’ve given up on building muscle before they even got any permanent changes—before they even know what it’s like to be strong. 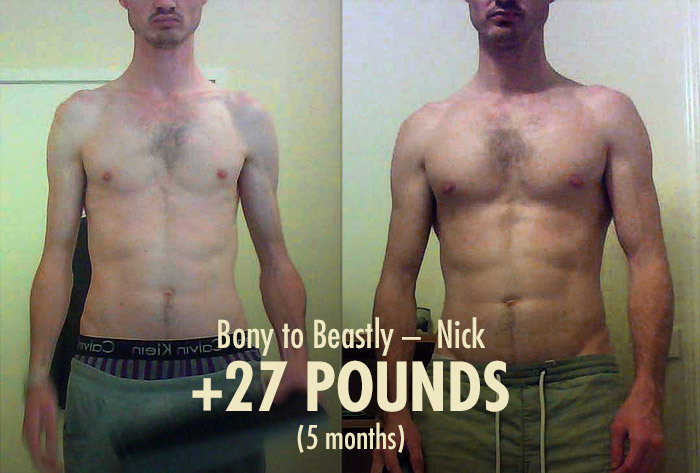 I was able to eek out a 50-pound gain over the course of a couple years, just beta-testing different versions of the Bony to Beastly Program. 12 pounds in one month, 7 in another, slower near the end. 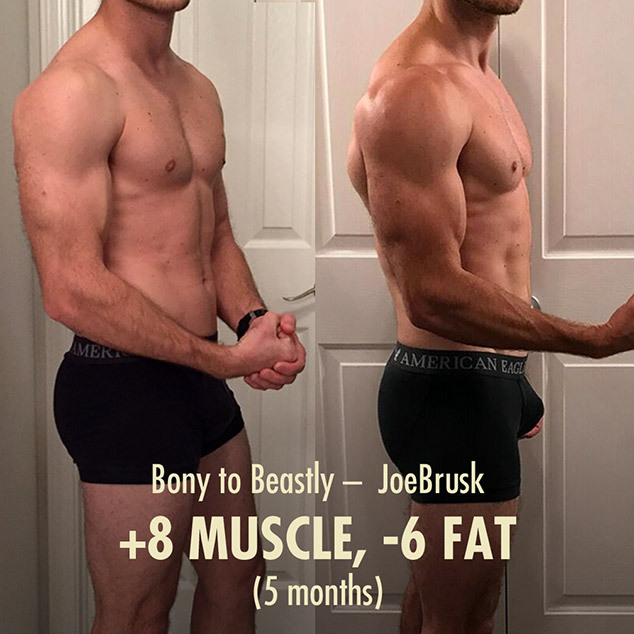 I was gaining way too quickly, but I never thought to look up how much muscle I should be gaining. I was tired of failing over and over. I just gained as much as I could. If I had listened to all the limitations that people were trying to put on me, or to the doubts I had in my own head, I would still be 130 pounds. I know, I know—slow and steady wins the race. It would be nice to think that if I had gained 1 pound per month over the course of the last 4 years, I would be 48 pounds heavier. That’s still a good pace. But the truth is that I would have become disheartened when, after a year of training hard, nobody could even see a difference. I never would have made it to 4 years. So explode out of the gate. Get impossible gains. Use that success as fuel for the harder, slower months that will come. By then you’ll be strong, fit and confident enough to weather that storm. The next time you put on your favourite shirt, let’s make sure it doesn’t fit. Nice article. You are being blessed by so many skinny people. Keep it up. I can relate it to many things but still there are some questions roaming around in my mind. I am training since 3 years. The first 2 years I did weight training. 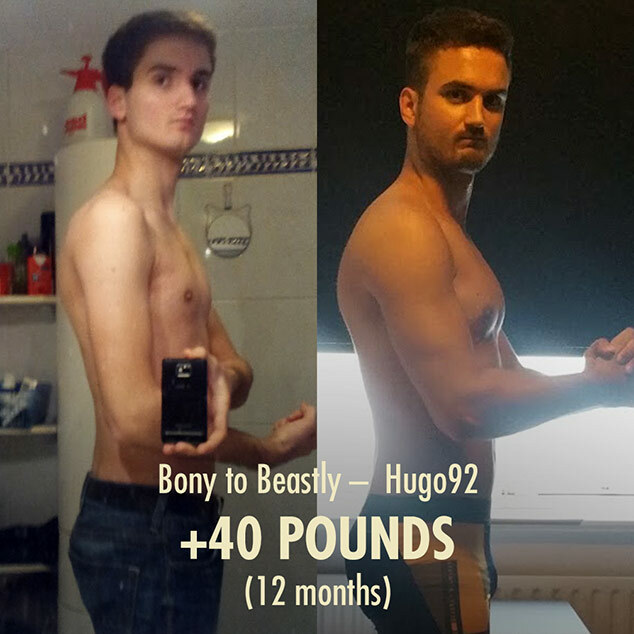 I even hired an online coaching and followed 3 day full body workouts. My strength increased but unfortunately no change in body measurements or the mirror. So since last 1 year I started with progressive calisthenics. Again my strength keeps increasing gradually but no change in measurements. Although I look better in mirror now and specially my arms feel “filled” at the same size. Still no vein can be seen on arms. Whatever I try to do I cant seem to gain size. During the entire 3 year period I tried to eat more. But at one point if I try to eat even more, I feel bloated and gassy. What could be the reason behind this? 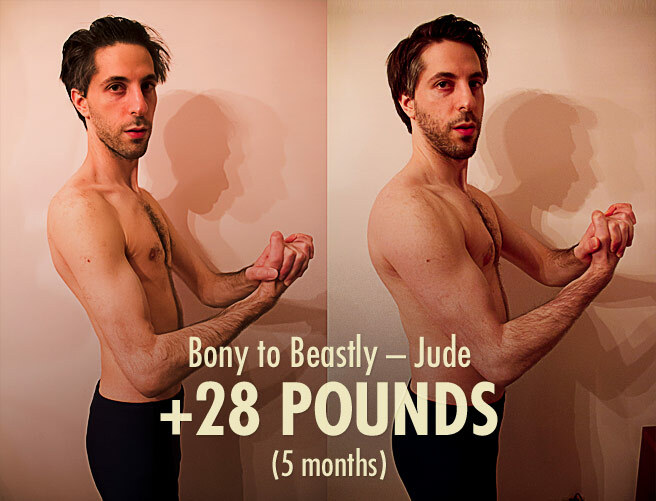 And can “The Bony to Beastly program” help with it?? Hey Ashish, the reason why you’re gaining strength but not size with both strength training and calisthenics is because of the reason we talk about in the “Why Some Newbies Gain Nothing” section of the article: you’re improving your coordination instead of building muscle. 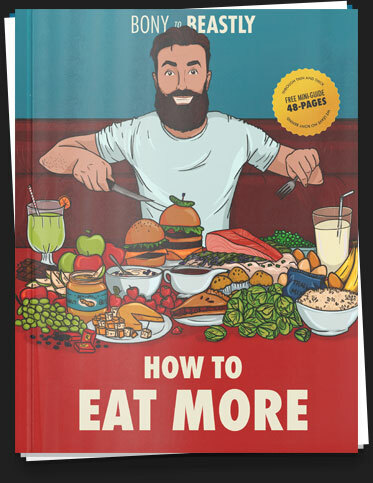 The reason why you STILL didn’t gain weight, even after 2 whole years of lifting, and even after your coordination gains surely plateaued, is for the reason we talk about in the “LEARN how to eat enough, don’t just force-feed yourself” subsection. If there isn’t a consistent calorie surplus, you cannot gain weight even if your workout program is okay. But force-feeding yourself, as you now know, is a horrible approach. Like you noticed, it just makes us feel bloated, gassy, and tired. That’s not a sustainable way to eat, and even for the quickest and easiest of newbie gains, we need to eat in a surplus every day for a whole month. 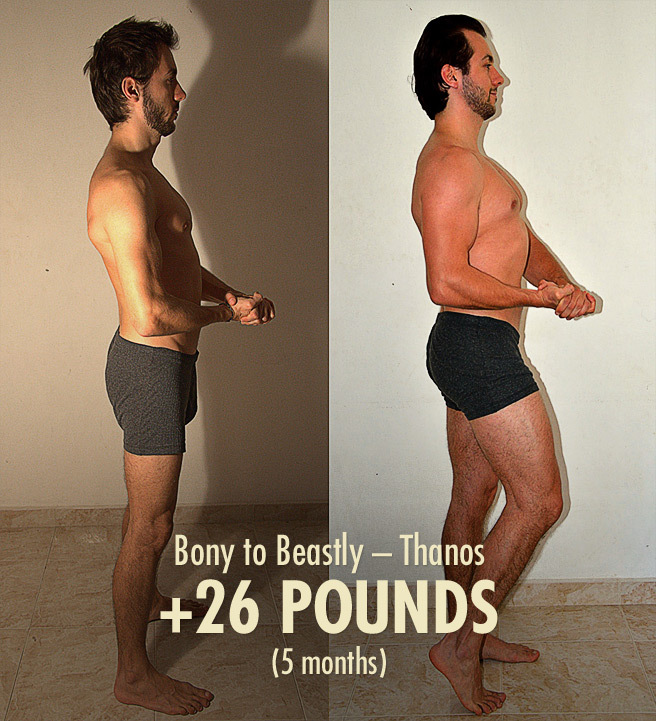 Can the Bony to Beastly Program help? Absolutely! The program is written by skinny guys who struggle to eat enough for skinny guys who struggle to eat enough. Most of us have tried to build muscle and failed for the same reasons you have. I sure have. How to know whether one is gaining muscle or fat while gaining weight? Thanks. The most accurate way would be to use something like a DEXA scan, however that would be incredibly impractical. An easier at-home way would be to use a caliper to measure your skin folds. My preferred way of tracking fat gains is visually, though, using your abs (or lack thereof) to guesstimate your body fat. For example, losing sight of your abs is usually a sign that you’re going up a little above 15% body fat. I can see my abs in good lighting, else it disappears lol, but there is no bulge either way. So do I assume it’s less than 15% at least? How would one know if they have spent some or all of their newbie gains ? Since they are dependant on nutrition surplus one would not expect gains in a cut, even though fat loss can look like gains. It was a good article. With good news. I’m curious if there are examples of this in connection with age. But I’m game to find out from practical experience myself either way. There are some differences with age, and also with how long you’ve been inactive. So a guy who hasn’t been exercising for 40 years is in a different situation from a guy who hasn’t been exercising for 5 years. However, the best study to date found no differences in the rate that men built muscle between the ages of 18–40, suspecting that it would carry on that way up until about 60. 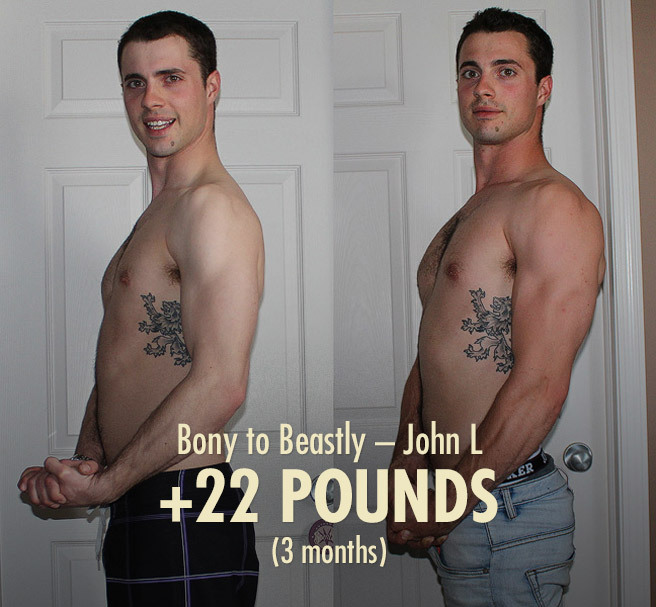 How many pounds do you think you should put on (on average) before you start to ‘lean’ bulk (lower caloric surplus). I ask because I’ve gained about 20lb over the last 12-14 weeks while staying relatively lean, however I’m struggling to maintain gaining 2lbs a week, it seems every time I put on an extra 2-3 pounds I have to up my calorie intake, but at what point should I start expecting to put on more fat than muscle? Ideally I would like to gain about 10lb in the next 5-6 weeks leanly and then slow the bulk down to 1lb a week maximum, or do you think trying to force 2lb for the next few weeks would just cause fat gain? I would gear down your caloric surplus and start gaining around 1 pound per week at around the +12 point. You’ve gone further, and that’s great, but that’s generally the point where we at least need to start really making sure the gains are lean. So at +20 now, I think it’s probably time to slow down. We’ve seen guys go further, so I won’t say it’s impossible, but that would be my advice. So yes, I think trying to force it during these next few weeks is more risk than it’s worth. Better to arrive at your goal a few weeks later but with way better muscle definition. When doing half kneeling landmine presses, i feel my triceps wprking instead of my shoulders. What may i be doing wrong? I wonder if it has anything to do with that too. I’m not sure if having more muscle mass would have any effect, but the diet and exercise that goes along with it sure is. When we exercise and eat well, it improves the balance of red and yellow in our skin tone. For example, one way that regular exercise helps is by leading to a higher level of oxygenated blood, giving us a healthier tone. You could probably build muscle without improving your skin tone, though, or improve your skin tone without building muscle. Depends on the manner in which you do it. In our program we take a pretty health-conscious approach to it, so most guys look and feel healthier by the end of it, not just bigger and stronger. Even then, some of the difference in skin tone that you see might be lighting or an actual tan. Someone might start the program in the winter and finish in the summer (or vis versa). What should someone do if he finishes your program, but would like to grow even more? Start it again from the beginning with heavier weights, or what? 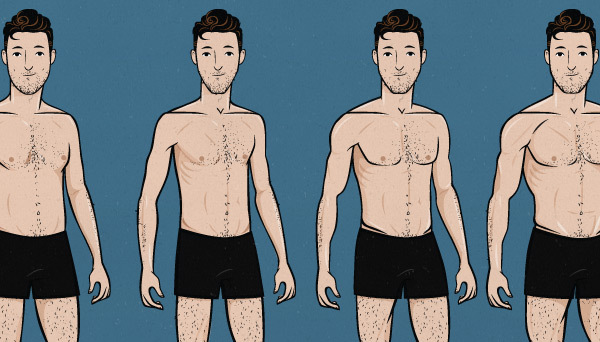 Is it just me, or you, naturally skinny guys doesnt look broad from the side, even after bulking up a lot? 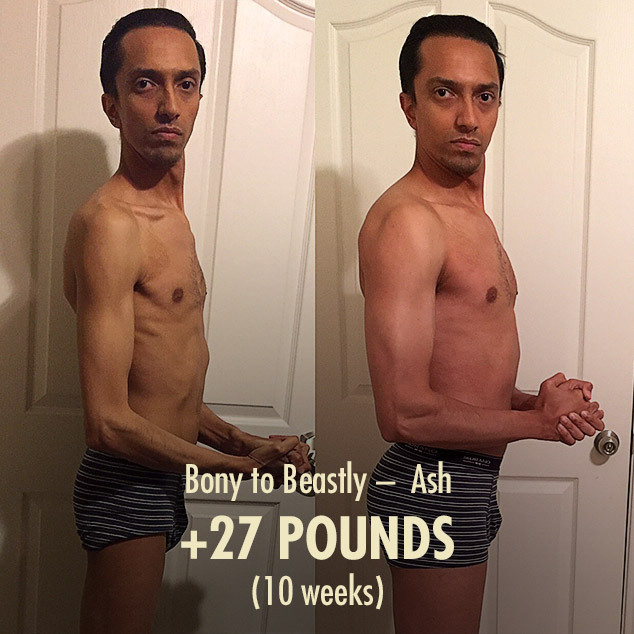 My friend has a bmi of 27, has flat stomach, but still looks somewhat lean and skinnyish at his lats..? Only steroid users will have full looking shoulders and back? Hey Erick. Some guys have gone through the main program a few times, but there are other options too. When someone graduates from the program, we give them another 5-week bonus phase. 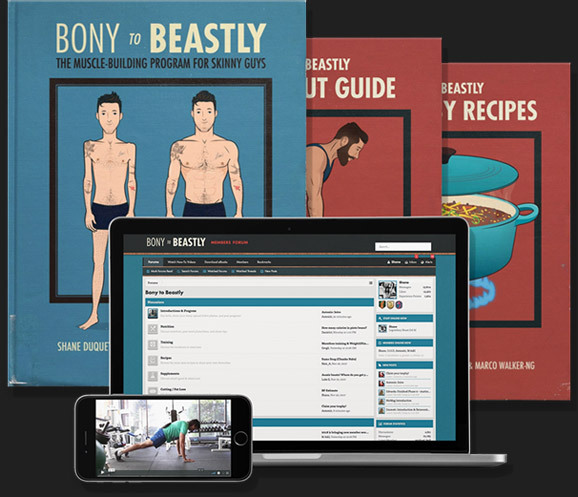 Just for being a member in the community, though, and a yearlong membership comes with the Bony to Beastly Program, we give you advanced workouts. You’d pick an advanced program based on your goals, and then every month you’d get a new 4-week phase that has you progressing through that new program. When you finish it, you pick a new one. You can become quite a lot thicker by developing your entire back (including spinal erectors), entire bore and your chest. However, there’s only so much you can do. 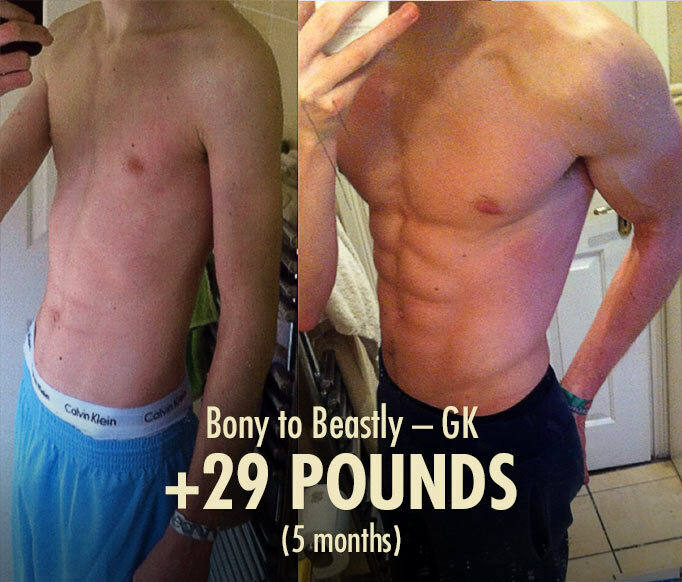 Many naturally skinny guys have thin ribcages. We’re shaped more like a deck of cards than a barrel. No amount of bulking (or steroids) will affect this. Fortunately, it doesn’t matter that much. You can become very strong and very attractive without needing to worry much about the shape of your ribcage. 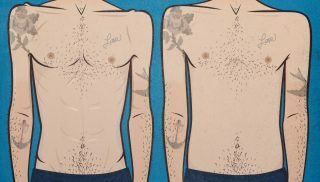 For some recognizable examples, Ryan Gosling, Brad Pitt, Christian Bale—all guys with thinner ribcages. Just to confirm, if you have been training consistently for many years, but have not even gained 1 KG on the scales then you can still gain ‘newbie gains’ in the same way someone who follows the B2B program has never really lifted before and is a ‘newbie’. Just concerned that my body thinks I’m an experienced lifter and won’t be fooled into getting newbie gains if that makes sense. Glad you’ve been liking the site, Nate! We’ve only ever run one sale in the history of our company… but if you get on the newsletter asap, you might get an email with some good news in it in a few days. Thank you, Daniel! “Mostly on the failing part” Lol! Ahaha but your progress updates also tend to have happy endings. You must’ve done that prototypical hero’s journey like a dozen times by now. 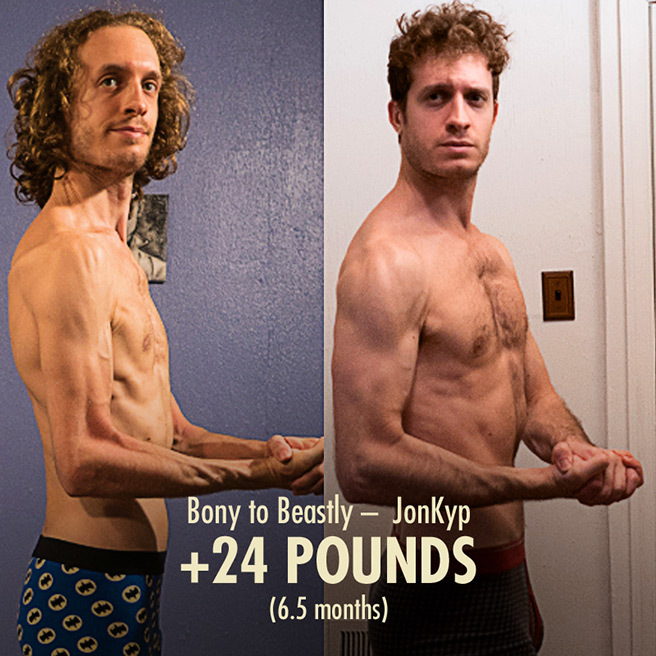 I’m a former NCAA cross country athlete on a mission to go from bony to beastly. I’m not running 80 miles a week anymore, tired of having the body of an 11 year boy and want to gain some weight/muscle. However, I’m a bit confused. In this article you mention that we need to aim for protein rich meals for each meal, but I also read in another article on Bony to Beastly that most of our diet should come from carbohydrates (70% or something like that?). 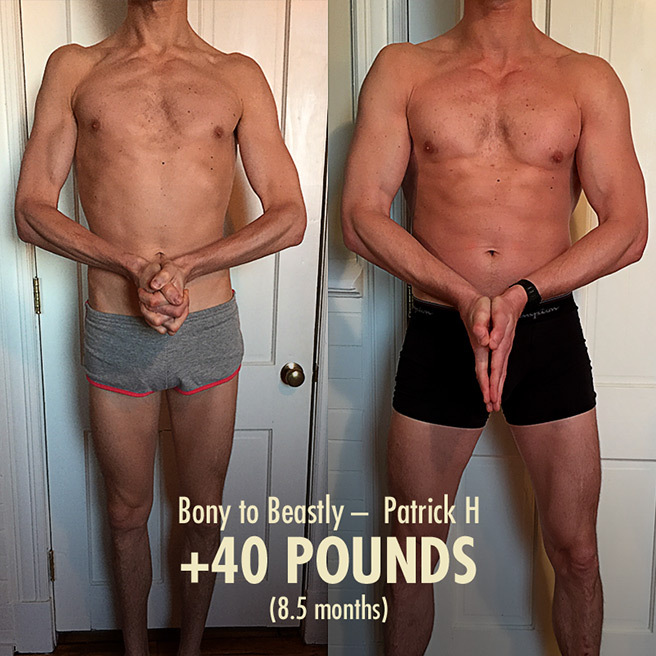 I tried a protein-dominate diet a few months ago where I was eating heavy protein meals like every 2-3 hours and… it didn’t work. I gained about 10lbs but plateaued right there and couldn’t get above 150lbs. Without making this a long story, I took a break after failing but now I’m giving it another shot and this time with the carbohydrate approach (based off one of your articles). Both are true, and not conflicting at all. Ideally you want roughly 0.8–1 gram of protein per pound bodyweight per day, 20+ grams of protein in each meal, and 50% or more of your calories coming from carbs. That all fits. If you have 4–5 meals per day, that’s just 80–100 grams of protein if you have 20 grams of protein with each meal. That’s not very much protein, and you’ll actually probably want a little more. Still, all of those meals can be at least half carbs. Eating too much protein won’t stall progress directly, but it might make it harder to eat a lot, and that will make it harder to get into a calorie surplus. Not being in a calorie surplus will always plateau your gains. A good solution for that, as outlined in the other article, is to consume more macros that are easier to eat in bulk, like carbohydrates: rice, dried fruit, bananas, pasta, maltodextrin, milk, beans, grains, smoothies, juice, etc. Seriously, thank you so much for being available and willing to answer our questions. You are the man! 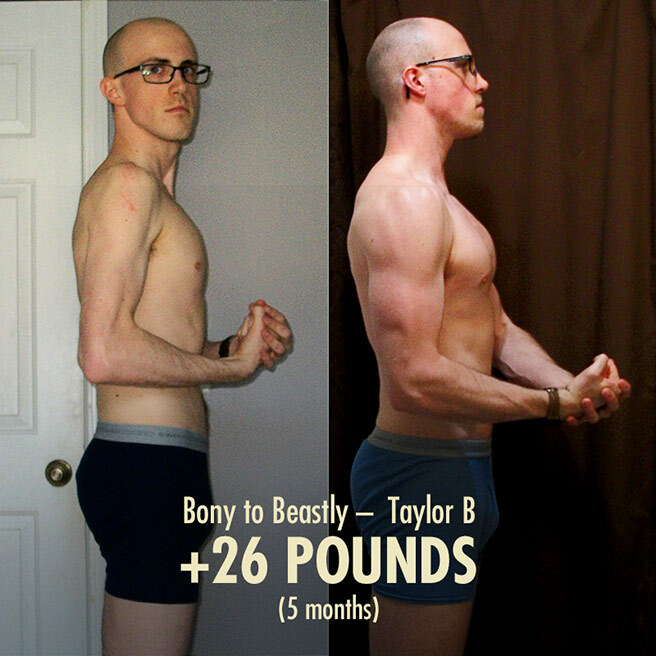 I have been bodybuilding on and off for 7 years. 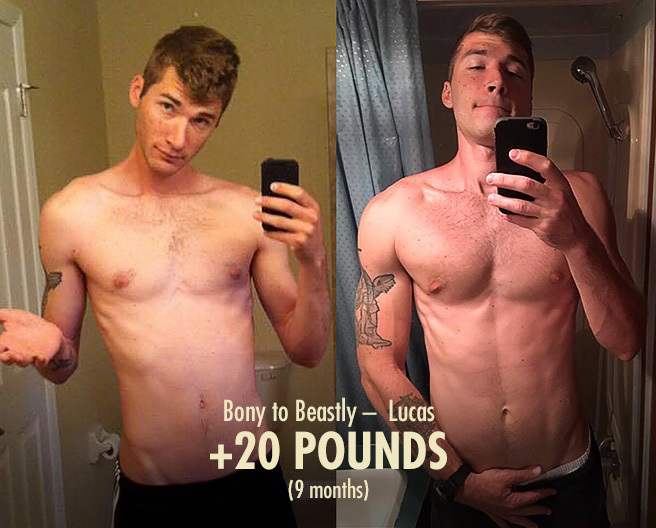 When I left the Army, I was 6’2″ 221 16% bodyfat and ending a bulking period. When I stop working out, I get skinny.. fast. I started working out about 4 weeks ago, weighing 180 or a little less. I only weigh myself every 6 weeks, but I weigh around 195 with decent fat gains and a 34″ waist. My working out bench weight has gone from 135 – 205, I expect to be working out with 225 in two weeks. My form is perfect, my diet is right, and my beginning routine is spot on. I’ll swap to my regular bulking routing at 8-12 weeks depending. I Do Not Get Very Sore. Not even my first day back into the gym. If I do it’s very slight, and lasts 2 days max. 1.Is this Muscle Memory + Noob Gains? 2.What happens to your myonuclei when you stop working out? It would seem they condense and are in waiting. Nice work, man! Sounds like you’re doing a real rad job with this. That’s a really astute pair of questions, too. Yes, it’s muscle memory. Yes, your myonuclei condensed but stayed inside your muscle fibres even as your muscles shrunk. (They seemingly only disappear if you starve yourself.) 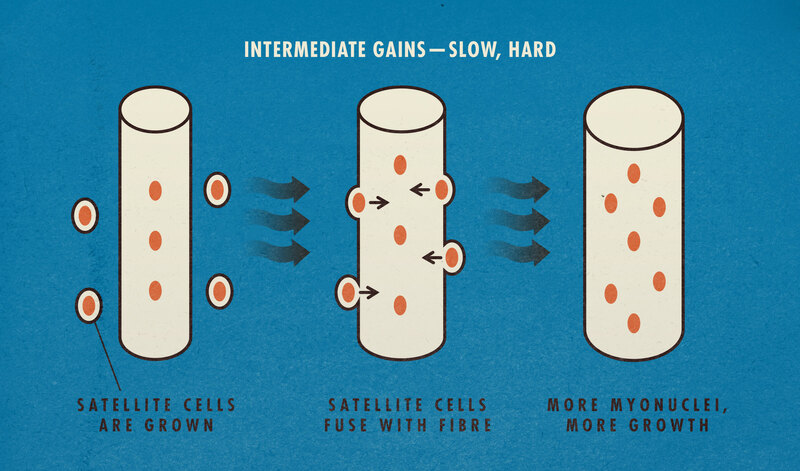 And yes, it’s essentially the same thing as newbie gains… except you’re filling out a much larger myonuclear domain because you have far more myonuclei in your muscle fibres than a beginner would. So, your history of bulking up drew more myonuclei into your muscle fibres (intermediate gains), then you lost some muscle mass but the extra nuclei remained, and now you’re filling up your huge myonuclear domains that you painstakingly developed in the past (newbie gains+). Does that make sense? Sounds like you totally understood the concepts and put them together exactly right. Newbie gains are the best! It truly is a great time when you start seeing your body transform and motivation is sky-high! This is a very detailed post on the topic- nice job! 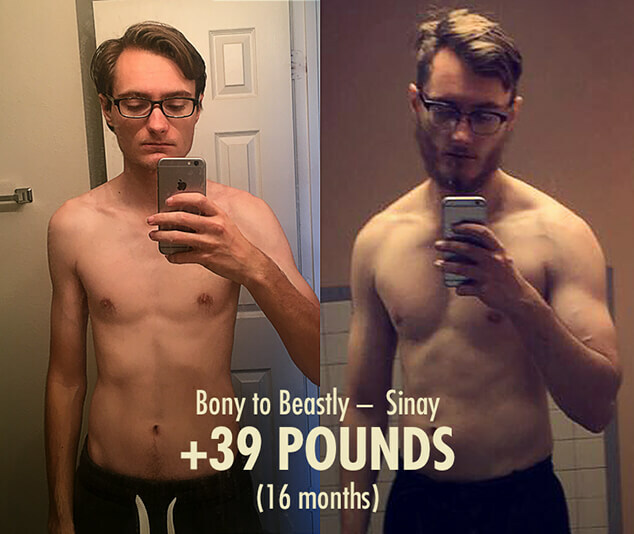 After many years of failing at lifting, I finally learned about proper diet. I started a heavy lifting routine and for the first time ever began eating like someone who was really trying to gain weight. I suppose this flew over my head before because gaining weight had never been my goal, despite my ectomorph form – strength was. I couldn’t believe how fast I gained weight. I had never had noticeable weight gain in my life, always stuck at ~150. 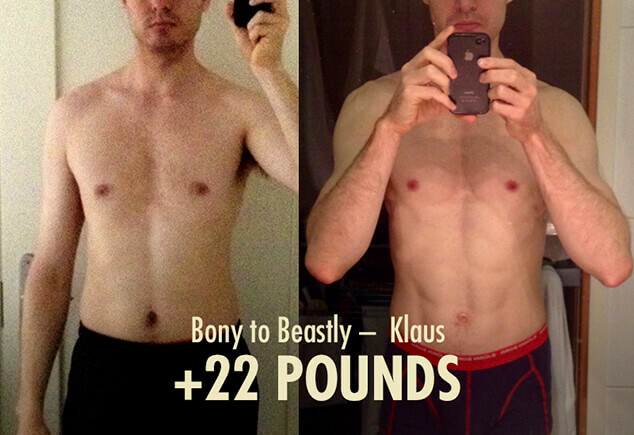 Suddenly, 3 months into this, I was 185 pounds and it was all muscle (well, almost all). Like you, as I read more, I began to see all this stuff about how what I did was impossible. 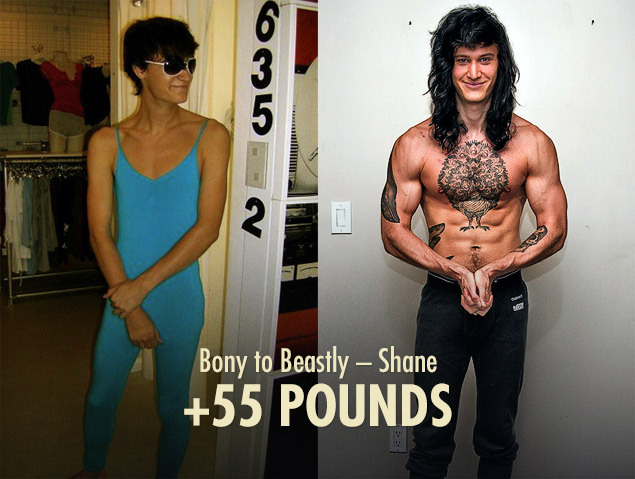 I’m glad I came across this article, because those massive initial gains had perplexed me. Very informative and it all makes sense now. 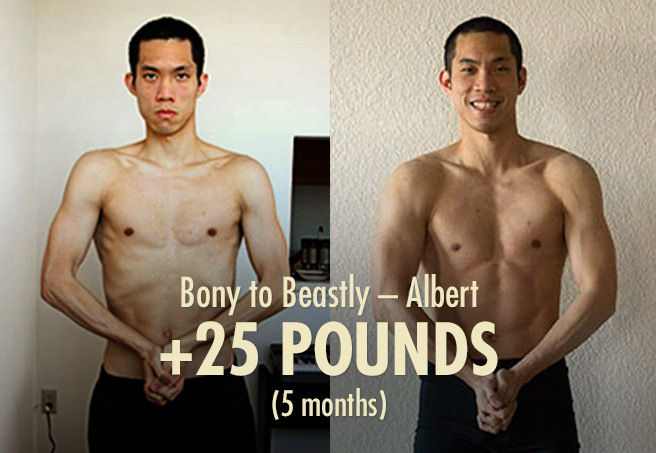 Thanks for sharing your story K, and congratulations on gaining 35 pounds! That’s amazing, dude!